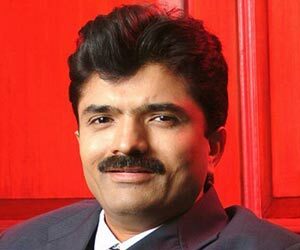 Rajesh Mehta is the founder Chairman of Rajesh Exports Limited - the largest company in the global gold market with annual revenues of around $50 billion. Mr Mehta has experience of over thirty years in the functioning and management of jewellery and gold trade. He is also consulted by various Gold and Jewellery organizations including government and trade bodies for rendering advise on development of the business. Rajesh Exports Limited constitutes 30 percent of the global gold refining space. The company is present in around 70 countries in terms of gold selling, refining, mining etc. It also runs a retail jewelry chain in India under the brand name of Shubh Jewellers. Rajesh Mehta is also amongst the richest Indians with a net worth of around $1.7 billion. Inspite of being full time into business he has varied interests. He is a keen sportsman, he is into theater, a good singer, a devoted family man, works for religious and community causes and is updated on the current global and national affairs.